Every REALTOR® must adhere to a strict code of ethics, which is based on professionalism and protection of the public. As a REALTOR®’s client, you can expect honest and ethical treatment in all transaction-related matters. The first obligation is to you, the client. REALTORS® are required by NAR to take a minimum of 2.5 hours of ethics every two years, though a majority from the Outer Banks Association of REALTORS® take 4 hours. Failure to complete this requirement can result in loss of membership. To view NAR’s 2019 Code of Ethics, click HERE. REALTORS® can provide local information on utilities, zoning, schools, and more. They also have objective information about each property. REALTORS® can use that data to help you determine if the property has what you need. By understanding both your needs and search area, they can also point out neighborhoods you don’t know much about but that might suit your needs better than you’d thought. As a REALTOR® they have an ethical obligation to protect and promote the interests of their clients. Failure to do so can result in an ethical complaint being filed against the REALTOR®. If a panel of judges find the REALTOR® at fault, he/she can lose their license to practice real estate. Sometimes properties are available but not actively advertised. A REALTOR® can help you find opportunities not listed on home search sites and can help you avoid out-of-date listings that might be showing up as available online but are no longer on the market. In fact, not only are the listing statuses sometimes inaccurate, but the listing information can also be incorrect. It is not uncommon for popular real estate search engines to have inaccurate listing information including number of bedrooms, square footage, and monthly payment estimates. Even school districts can be incorrect. However, REALTOR® members of OBAR have access to a multiple listing service (MLS) database known as Paragon. It is the most accurate and up-to-date database providing listing information for the OBX. It is the most accurate because REALTORS® input the listing information themselves immediately after signing a contract with a seller. They are required to upload their active listings and notate any changes in listing information within a 72-hour period, subject to a hefty fine by the MLS Director. There is no other comparable website that can provide real-time information in our area. There are many factors up for discussion in a deal. A REALTOR® will look at every angle from your perspective, including crafting a purchase agreement that allows enough time for you to complete inspections and investigations of the property before you are bound to complete the purchase. They are your support system throughout the lifetime of the process. Most people buy only a few homes in their lifetime, usually with quite a few years in between each purchase. Even if you’ve done it before, laws and regulations change. REALTORS® handle hundreds of transactions over the course of their career. 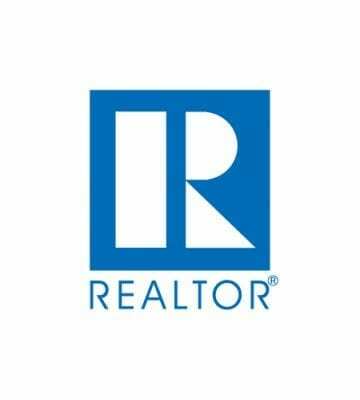 To maintain membership with the local, state, and national associations, a REALTOR® must take a 4-hour real estate update course that covers the ever-changing rules of real estate. In addition, they are required to take another 4 hours of “elective” credits which range from technology tips, contracts, inspections and many more. Because of this requirement they are the most prepared for the tedious process of selling or buying a house from the initial representation agreements to the final paperwork required to close a deal. A home is so much more than four walls and a roof. And for most people, property represents the biggest purchase they’ll ever make. Having a concerned, but objective, third party helps you stay focused on the issues most important to you. And a REALTOR® will be with you every step of the way. If you are interested in selling your home or buying a home in the Outer Banks and do not know a REALTOR®, please visit OBAR’s website where you can search our REALTOR® members HERE. Article provided by the National Association of REALTORS® and edited by OBAR to reflect local information.